Belgium's finest Premium Gin, Copperhead Gin offers a range of three gins. 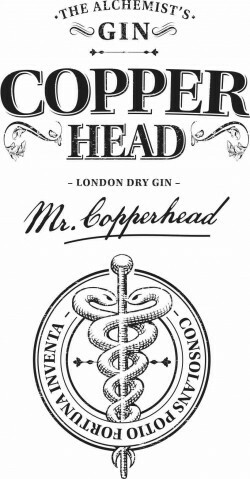 Mr.Copperhead is the first gin of our company, a classic juniper dominant gin with subtle citrus notes. The Black Batch, with fruity and herbal notes is the result of adding the black elderberry pitch and black ceylon to the recipe of Mr. Copperhead. Last but not least, Copperhead collaborated with Marian Beke from the Gibson Bar in London. Copperhead Gin – The Gibson Edition, is inspired on the classic Gibson Martini. Original savoury gin is born!